It's the 21st Century everyone and everything is on Facebook, so why not a lost dog? 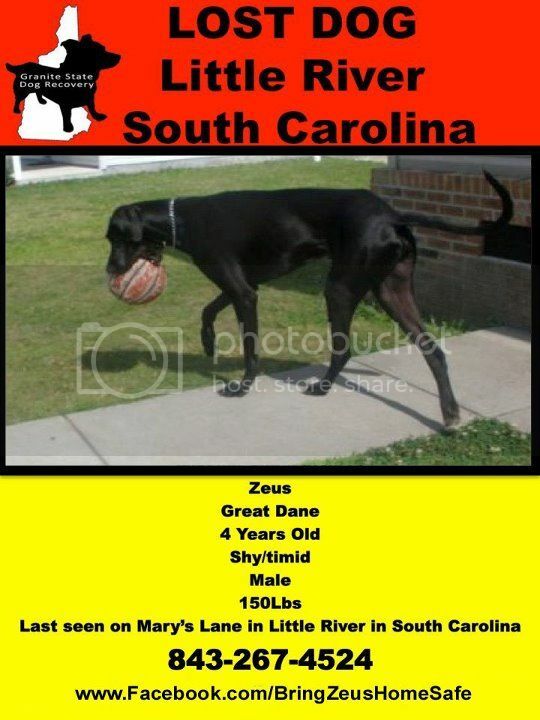 Zeus has been spotted on (Highway) 17 in Little River near the McDonalds. Please share and let the power of Facebook find my little man! The "Bring Zeus Home" Facebook page has nearly 100 fans. Hop on over to Facebook to check out photos of Zeus, and get more info.